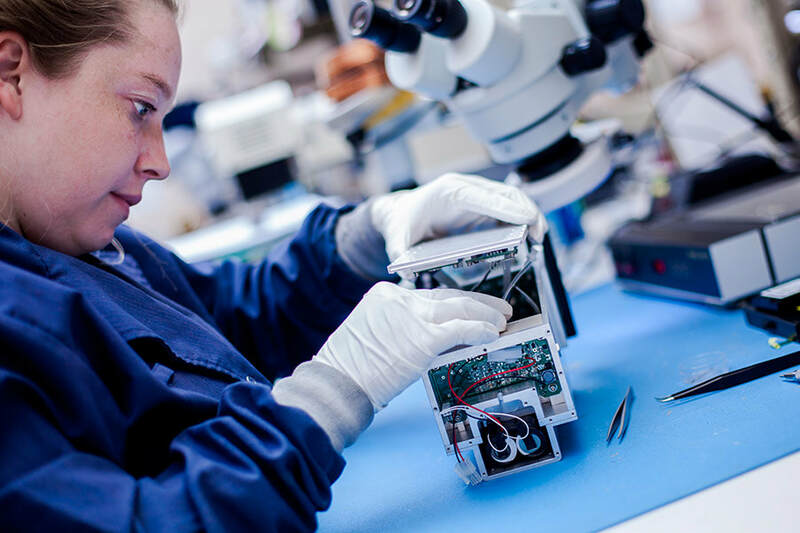 Our skilled staff utilizes precision tools and stereo microscopes to assemble complex products. Continuous training is implemented to ensure quality. ESD safe workstations are used throughout the facility to protect static sensitive devices. Dry cabinet and ESD equipment is utilized to protect stored parts and assemblies. Praxsym offers a turnkey solution for the design, prototype, and production stages of a product. 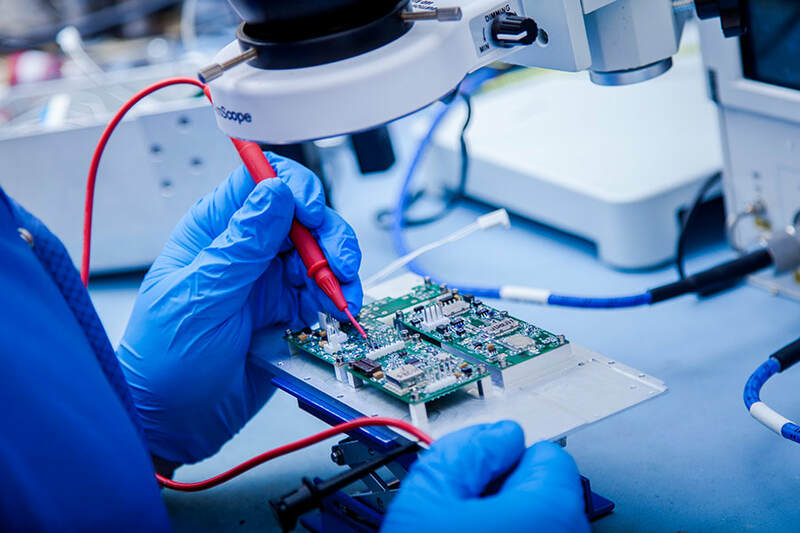 Our experienced electrical engineering staff provides full service design and support to fulfill specific requirements. 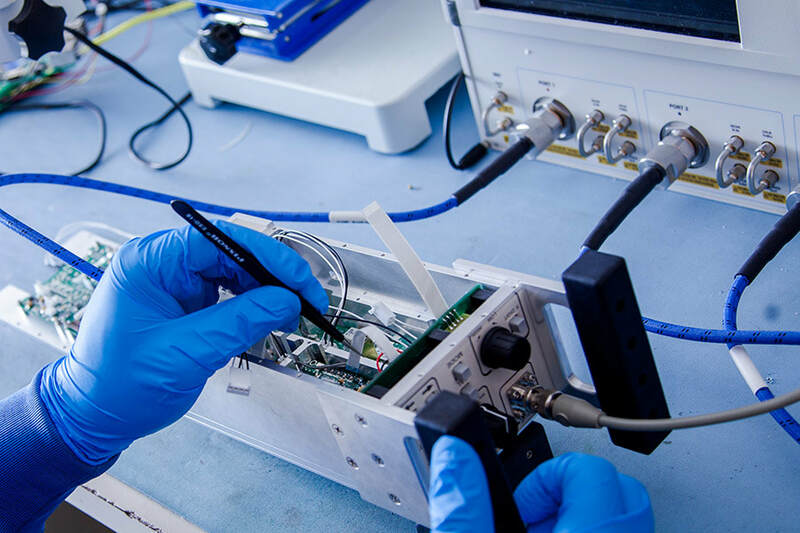 Low or high volume assembly is completed in house and with our network of qualified EMS providers. Praxym’s precision machine shop utilizes Haas CNC machines to provide machined parts and complete chassis assemblies. 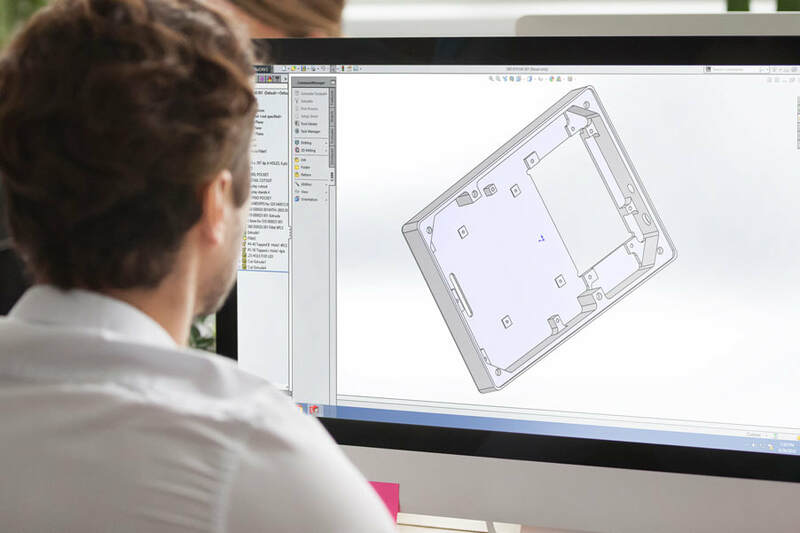 Utilizing innovative CAD software, our team creates product specific solutions for housing electronic assemblies. The Praxsym machine shop operates Haas VF2 equipment to deliver precision parts required by the electronics industry. 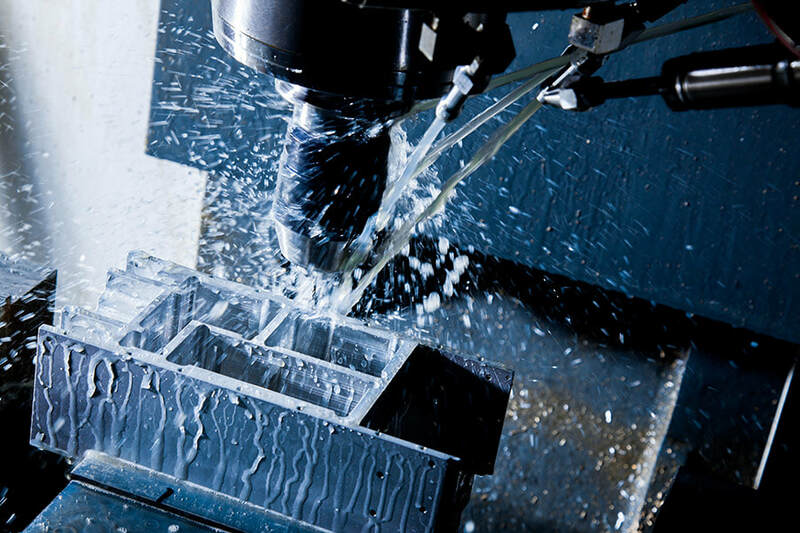 CNC tooling programs are made from 3D models utilizing SolidWorks software.